In everyday life, each single person mails, tweets and updates about his activities to his friends on the cyberspace. But have you ever heard about a person writing a letter to himself? You surely didn’t! Please carefully read the excerpt from the letter of a famous personality who redefined Hollywood ‘action’ with his dedication, mastery and skills. I, Bruce Lee, will be the first highest paid Oriental super star in the United States. In return I will give the most exciting performances and give the best of quality in the capacity of an actor. Starting 1970 I will achieve world fame and from then onward till the end of 1980 I will have in my possession $10,000,000. I will live the way I please and achieve inner harmony and happiness. This letter was written by none other than Bruce Lee, the popular martial arts expert and Hollywood star during his struggle days. 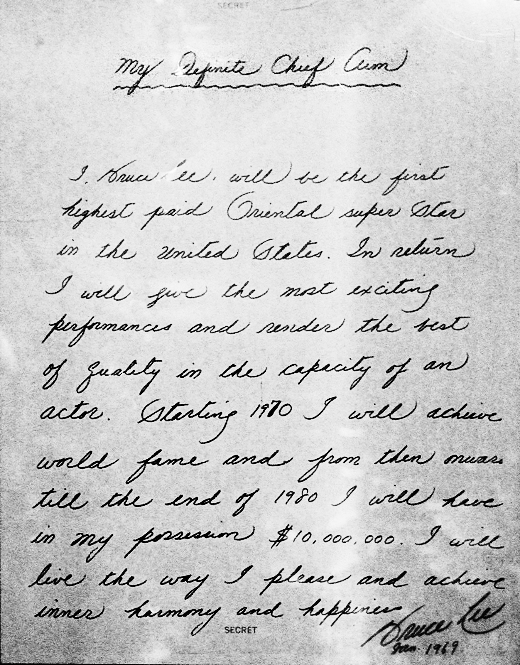 Bruce Lee wrote this letter on 9th January 1970 to himself with a promise to meet the goals he had set for his life. 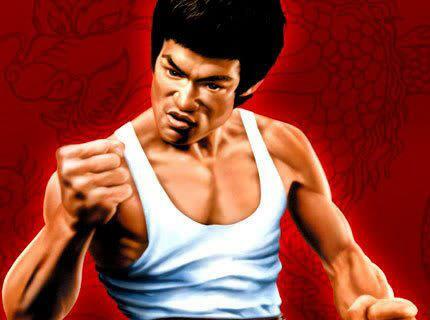 But sadly, Bruce Lee died in 1973 while dubbing for the Hollywood movie “Enter the Dragon”. As the letter indicates that he wanted to fulfil all his dreams within 10 years, Bruce Lee had met all his promises and goals prior to the committed time. When Bruce Lee didn’t had any guiding force or mentor to motivate him, Bruce Lee internally motivated himself by writing this letter. This letter written by Bruce Lee is a standing example of internal motivation for people who don’t have anyone to guide them. I had read this short story in Arindam Chaudhary’s motivational book – “Discover the diamond in you” and was keen to re-tell this story in my blog. What a great personality Bruce Lee was! So, take a time out for yourself and write a letter to yourself, mentioning all the dreams that you have set for your life. Once you march on the struggle path, there will be no one to block your path of success. I hope you will find this article useful, constructive and motivational. Please do let me know your views. Your Article is really good and you have done Justice to this article. HI PRASHANT, i print above letter written by bruce lee. I am very thankful to you that u publish this letter. Really, the letter is biggest motivational example in our life. Thank you for this. Needed this article very much at this time.